Facebook CEO Mark Zuckerberg is making his first known investment in a startup, a firm called Panorama Education that uses data analysis to attempt to improve education. The Cambridge, Mass.-based Panorama announced Monday that it raised $4 million in seed funding led by Zuckerberg’s Startup:Education fund. Other investors include Jeff Clavier’s SoftTech VC, Google Ventures, Ashton Kutcher’s A-Grade Investments and Yale University. Facebook founder Mark Zuckerberg paid top dollar — more than $30 million in total — for the four residential properties located next door and behind his Palo Alto home. Zuckerberg is one of several prominent tech CEOs who own homes on Palo Alto’s tree-lined streets. Yahoo’s (YHOO) Marissa Mayer and Google’s (GOOG) Larry Page live there, as did the late Apple (AAPL) chief Steve Jobs. Zuckerberg, who rented for many years, reportedly paid $7 million two years ago for the 5,000-square-foot home in Palo Alto’s Crescent Park neighborhood where he lives with his wife, physician Priscilla Chan. Zuckerberg, whose personal fortune is estimated at $19 billion, also owns a home in San Francisco. Facebook will sell 15 second long television-style ads, that will appear on its site, for as much as $2.5 million a day. By comparison, 30-second ads on the Super Bowl tend to go for $3.5 million. Fifteen seconds is the same length as an Instagram video. Starring Bill Gates, Mark Zuckerberg, will.i.am, Chris Bosh, Jack Dorsey, Tony Hsieh, Drew Houston, Gabe Newell, Ruchi Sanghvi, Elena Silenok, Vanessa Hurst, and Hadi Partovi. MENLO PARK, Calif. (AP) – If you’ve ever wanted to know the most popular TV shows among your Facebook friends who are doctors, or wanted to see all the photos any of your friends have taken in Paris, the world’s biggest online social network has the answer. CEO Mark Zuckerberg unveiled a new search feature on Tuesday in Facebook’s first staged event at its Menlo Park, Calif., headquarters since its May initial public offering. Called “graph search,” the new service lets users search their social connections for information about people, interests, photos and places. Until now, Facebook users were unable to search for friends who live in a certain town or like a particular movie. With the new feature, people can search for friends who, say, live in Boston who also like “Zero Dark Thirty”. Zuckerberg says the search feature is “privacy aware.” That means users can only search for content that has been shared with them. 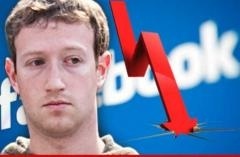 Facebook stock, which traded at $38 during its May IPO, has plummeted to an all-time low of $18.28. For Facebook employees who have shares locked up, November can’t get here fast enough. That’s when they’ll be able to sell off their Facebook stock, although who knows what their shares will be worth by then. BMO Capital Markets analyst Daniel Salmon is predicting that shares will have dropped to a flimsy $15 by November.